Hostmark Hospitality Group values creativity, talent, and hard work —they’re the elements necessary to thrive in the fast-paced hospitality industry, and we welcome anyone who can help us maintain our record of excellence and chart a course into the future. If you’re driven to be a positive force in the community and to embody excellence every day, we want to help you begin a rewarding career at Hostmark Hospitality Group. Our mission is To Honor Our Promises and Deliver Superior Results—that applies to our associates, guests as well as our clients. Join CareerLink today to apply for jobs at Hostmark Hospitality Group’s network of hotels across the country. 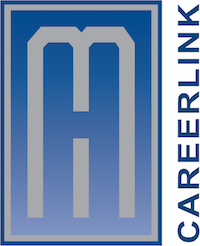 CareerLink provides you with the ability to easily apply for multiple jobs, check your application status, and quickly and easily update your resume without resubmitting your applications. You can also sign up to receive updates on positions that interest you. Our associates help Hostmark Hospitality Group grow to new heights, and we are committed to helping our team members grow within their roles and beyond them.